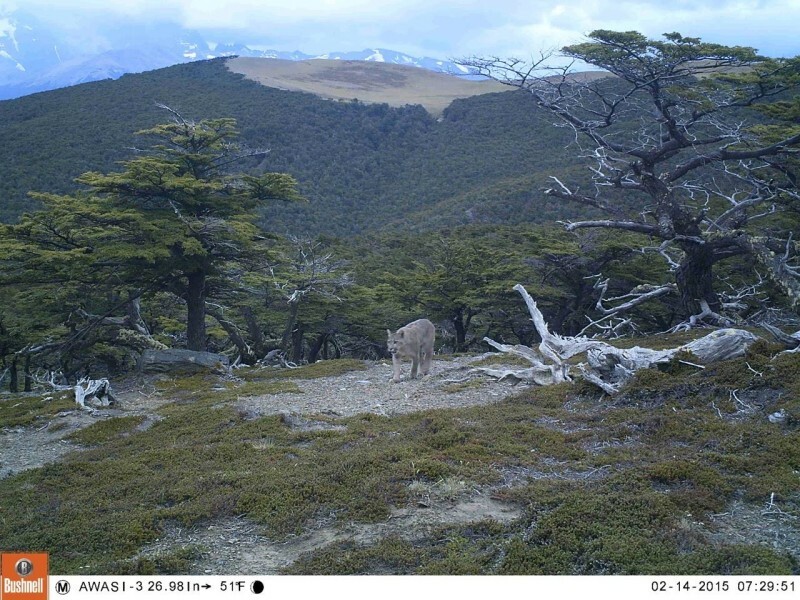 The second instalment of photographs from our hidden camera project at Awasi Patagonia brings you the puma and much more wildlife. The idea behind installing eight cameras came from our team of guides who wanted to show that the existence of our lodge has not had a negative impact on the native fauna, which includes several endangered animals. This first photograph shows a puma casually strolling around the private reserve upon which Awasi Patagonia is located. The mountain range you can see in the distance is the famous Torres del Paine massif, and our lodge is located a few hundred meters below. The clock read 7.29am and as nocturnal creatures, she is most likely looking for a spot to rest her paws after a night of hunting. The three photographs above were taken in the same spot, whilst this fourth image is in a woody glen where we have another camera. Here a fox crosses a fallen log, sniffing around in the moss under foot. One of the aims of this project is to show that by building a luxury hotel in the middle of Patagonia, the surrounding nature and wildlife has not been affected. 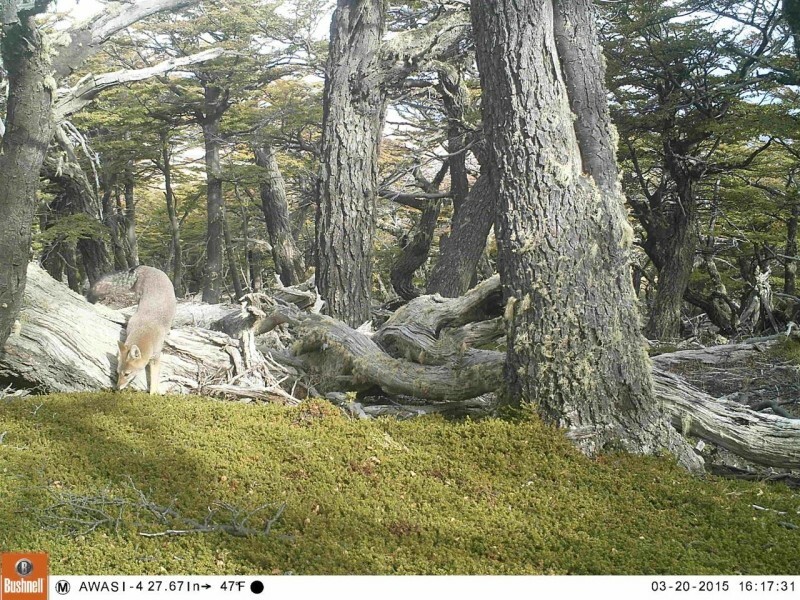 As you can see from these images, the wildlife continues to thrive and we are delighted to offer Awasi guests access to the unique ecosystems that make Torres del Paine famous across the world. 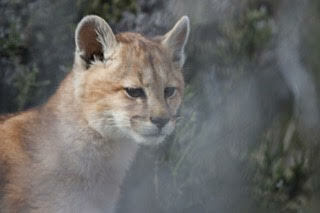 Surrounding the reserve is a working estancia, and before we built the lodge the land was completely untouched. We built the twelve villas on stilts for minimal environmental impact, and throughout the construction we were very careful to respect the surrounding nature. We are delighted to see that the wildlife is happy to cohabit with us humans; after all, we are very aware that the animals were here first!